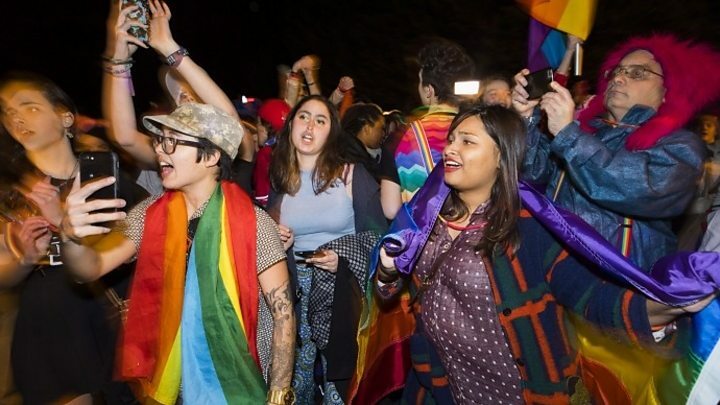 The school in Springfield, Virginia, bars teachers from engaging in or condoning “homosexual or lesbian sexual activity” and “transgender identity”. Mrs Pence previously taught art at the school for more than a decade while her husband was a member of Congress. A spokeswoman for Mrs Pence has hit back at criticism of her employer. “Mrs Pence has returned to the school where she previously taught for 12 years,” the second lady’s spokeswoman Kara Brooks said in a statement. A parent agreement on the elementary school’s website says that they can “refuse admission” or “discontinue enrolment” of a pupil “if “the atmosphere or conduct within a particular home, the activities of a parent or guardian, or the activities of the student are counter to, or are in opposition to, the biblical lifestyle the school teaches”. In a statement on Tuesday, Mrs Pence said she is “excited to be back in the classroom and doing what I love to do, which is to teach art to elementary students”. Online, Mrs Pence has faced some sharp criticism for affiliating with the school while serving as second lady. 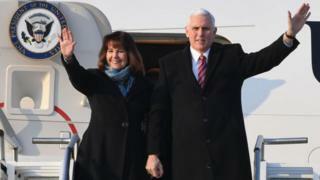 Others, however, have supported Mrs Pence in the face of the backlash, saying the school is just adhering to orthodox Christian values, like many others. Vice-President Pence has previously come under fire by gay rights activists for his Christian evangelical beliefs which include opposition to gay marriage. He has expressed support in the past for the controversial practice of gay conversion therapy and before becoming vice-president, as governor of Indiana he signed a bill that many said amounted to state-sponsored discrimination of LGBT people. Mr Pence became the first vice-president to speak at the openly anti-LGBT Family Research Council’s annual conference in 2018. The organisation has been labelled a hate group by the Southern Poverty Law Center. According to the LGBT advocacy group Human Rights Campaign, Americans in 29 states can be fired for their sexual preference. Last year, a children’s book Mrs Pence illustrated and authored with her daughter – Marlon Bundo’s A Day in the Life of the Vice President – was lampooned by comedian John Oliver. Oliver released a rival book, A Day In The Life of Marlon Bundo, telling a similar story, except the protagonist is a male bunny who falls in love and marries another male rabbit. Some online users at the time criticised the comedian for seeking to “tear down Pence through his wife”.